BEIRUT, June 3. /TASS/. 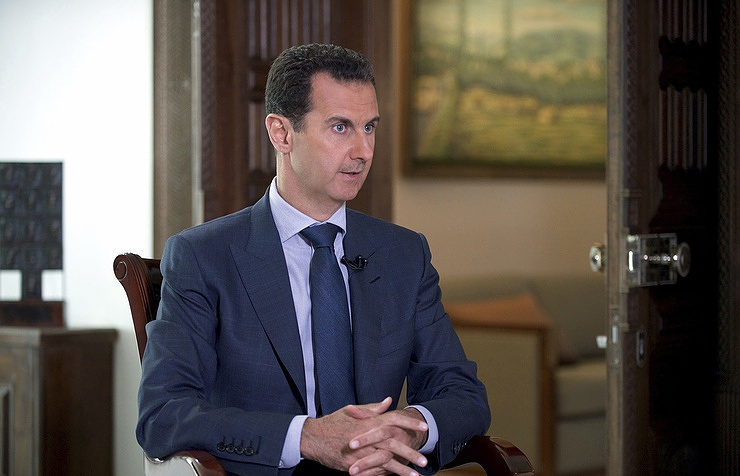 Syria has neither chemical weapons nor facilities to manufacture them, President Bashar al-Assad said in an interview with Indian WION news channel. SANA news agency released the text of the interview on Saturday. Al-Assad claims that behind the chemical attack in the town of Khan-Shaykhun on April 4 were "the United States and the Western intelligence with the terrorists. They staged this play just to have a pretext to attack Syria, and that’s what happened a few days later when they attacked our airport." "And they wanted to demonize again, to re-demonize the Syrian state and the Syrian President. So, this is the only headline that could capture the audience and the public opinion around the world," he said. The creation of de-escalation zones in Syria is a positive result but not a political solution to the crisis, al-Assad said. "Of course, we have already joined these efforts since Geneva in 2014, something like this, a few years ago, it’s not only about joining that effort; you need a real effort, you need a methodical effort that could produce something in reality that could be fruitful," al-Assad said. "Till this moment, we haven’t had any real political initiative that could produce something, although Astana has achieved, let’s say, partial results, through the recent de-escalation areas in Syria, which was positive in that regard, but you cannot call it a political solution till this moment," he added. The Syrian government took the initiative in dealing with armed units in the country in order to reach reconciliation. "We took the initiative in dealing directly with the terrorists in some areas in order to make reconciliation, where they can give up their armaments and we can give them amnesty, and that has worked in a very proper and good way in Syria," he said.